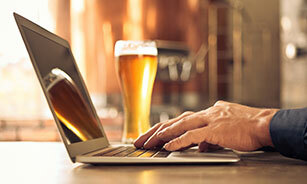 Ai Group Blog > Business Management > The Internet of Beer: Could this be the ultimate Industry 4.0 combination? Warren Bradford was positively frothing as he described how his business Deacam is using the internet of things (IoT) to take beer making and fermentation technology to the next level. Warren was speaking to a packed audience of business leaders at the Industrie 4.0 trade fair at Hannover Messe in April 20191. IoT is the collective term used to describe the vast global network of sensors, controllers, actuators and devices connected to the internet which are used to monitor, diagnose and control industrial equipment and consumer devices alike. Many of these devices are wifi enabled, with increasing numbers connected via cellular networks or satellite; others are hard-wired via communication cables, gateways and routers. Deacam have been working with leading Australian craft brewers like Bad Shepherd Brewing Co, The Public Brewery and KAIJU! Beer to connect, monitor and precisely control the fermentation process that is the heart and soul of beer making. As Warren explained to the audience, quality control is everything, and IoT enables brewers to monitor and control their processes in real time. Deacam recently packaged up their IoT offering as Fermecraft, an intelligent automation system for the fermentation industry. Using innovative technology, high quality hardware and coded smart systems, Fermecraft integrates all active devices into a user-friendly, systemised control point for the operator. Siemens’ Mindsphere was chosen as the software platform for integration of Deacam’s process monitoring and control equipment and development of Fermecraft’s digital dashboard, which provides an intuitive operator interface. With stability and repeatability established, the fermentation process can be readily and reliably scaled up. The appeal of this technology extends beyond craft brewing, with small batch Gin distiller Brogan’s Way in Richmond, Victoria also selecting Fermecraft for integrated process monitoring and control. 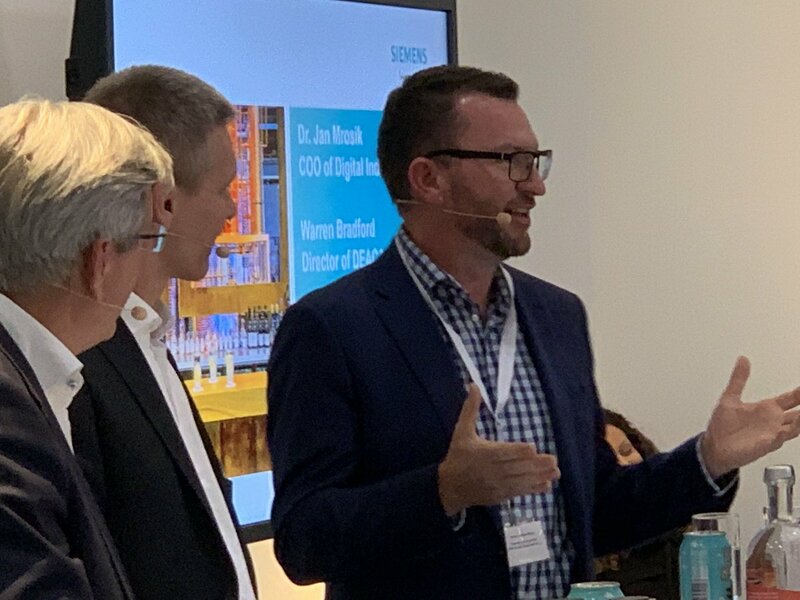 Warren Bradford’s participation in a panel discussion on factory automation and IoT was a welcome inclusion by Siemens Australia at this year’s Industrie 4.0 trade fair in Hannover, Germany. 1Ai Group’s Clive Milham participated in an Industry 4.0 Advanced Manufacturing Forum delegation to Hannover Messe. This Forum of industry leaders and organisations has been formed to support Australian industry transformation and is the successor to the Prime Minister’s Industry 4.0 Taskforce. Further information is available at http://i4amf.aigroup.com.au/. Do you have a story to share about your own company’s successes in harnessing IoT? Leave a comment below to share your experiences and start a conversation. 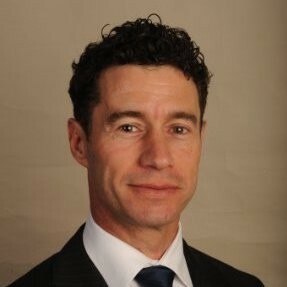 As Technology Adviser – Industry 4.0 to the Ai Group Entrepreneurs’ Programme (EP) team, Clive brings to the role 20+ years’ experience in industrial research and development, advanced manufacturing and entrepreneurship, including 14+ years with Boeing where he was responsible for leading and managing teams in the field of aerospace materials and manufacturing. He is a tertiary qualified mechanical engineer, holds a PhD in materials engineering and has completed an MBA specialising in entrepreneurship and innovation management from the Australian Graduate School of Entrepreneurship.